ConductorWilliams (f.k.a. D/Will) is a Kansas City hip-hop producer with over a decade of experience in his craft. 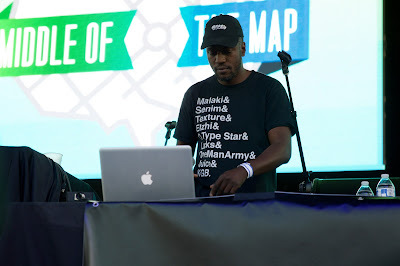 He's released projects with Barrel Maker (as BLKFLANL), Stik Figa, Weaver, and Les Izmore (as Heartfelt Anarchy) and subsequently won the admiration of hip-hop fans across the region. His productivity seems to be endless. Today, you can hear the third installation of ConductorWilliams' Conductor Soul mix series. The 21 minute mix consists of unreleased beats and new takes on ones that fans of his work should instantly recognize. BLKFLANL instrumentals co-mingle with hypnotic soul beats, a Michael Jackson tribute, and a wide array of other audio content from one of Kansas City's best. Listen to the mix below and learn more about ConductorWilliams' upcoming producer camp here.